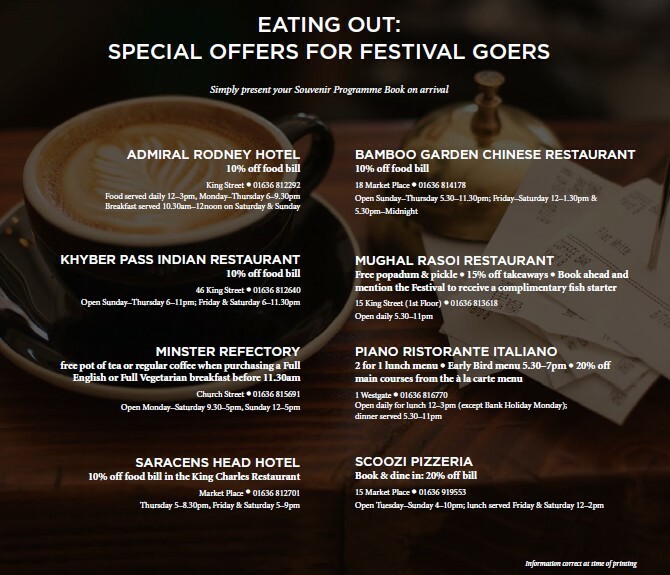 It’s Festival time! 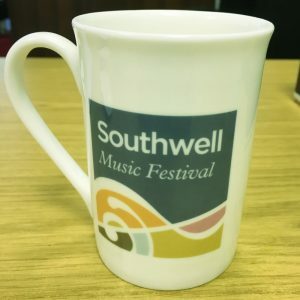 With the third Southwell Music Festival opening on Thursday 25th August here is information which we hope will be useful to those attending. If you have not booked, now would be a good time: tickets are available for most performances though in some cases are in short supply. 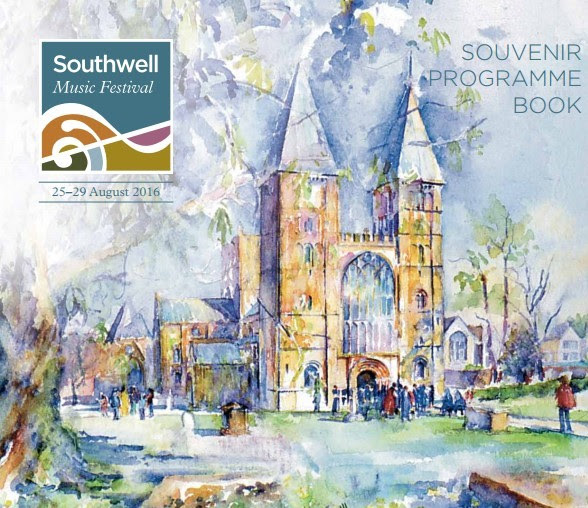 Tickets are now only available in person or on the phone from the Southwell Cathedral Shop (01636 812933) or at the performance. 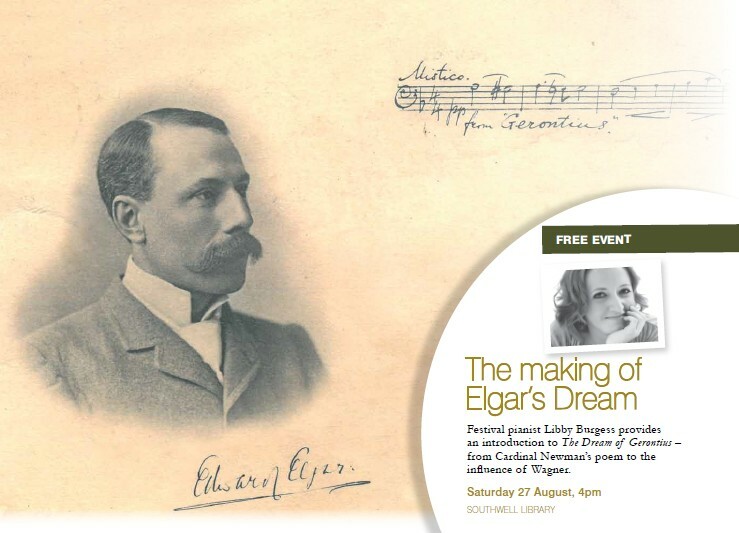 At previous festivals there has been widespread admiration for the souvenir programme book which perfectly complements the Festival’s outstanding performances. This year we have again produced a publication packed with top quality material including programme notes by musical authorities such as Martin Bussey, the late Michael Kennedy, Professor Hugh Macdonald, Paul Spicer and Dr John Warrack. To celebrate the 20th anniversary of the Minster’s great west window we also publish an illustrated article by Libby Horner, the leading authority on its designer Patrick Reyntiens. In preparing for previous festivals undue time has been spent by the organisers debating the book’s purchase price; this year we are leaving it to the public to decide a fair price for this sumptuous 100+ page publication. We hope that everyone attending will acquire a programme book however it is not necessary to purchase one: we are asking for a donation. 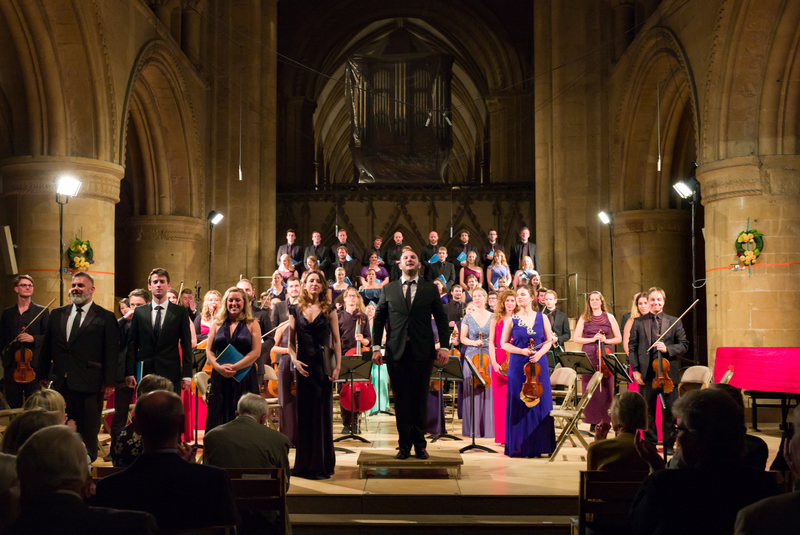 While we suggest that £5 might be a reasonable sum we understand there will be those who appreciate the quality of the product and may be moved to donate more. Equally, smaller donations would be acceptable though we respectfully suggest that buttons and brass washers are kept to a minimum. 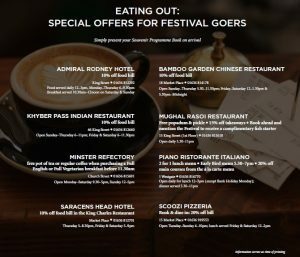 One great advantage of purchasing the programme book is that it is your passport to attractive special offers at a variety of excellent local hostelries. Just show your copy of the programme on arrival. 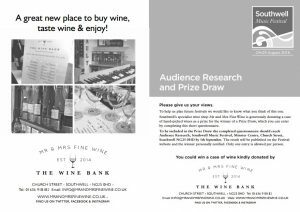 The feedback provided in our audience questionnaire is very useful and we hope you will take part this year. 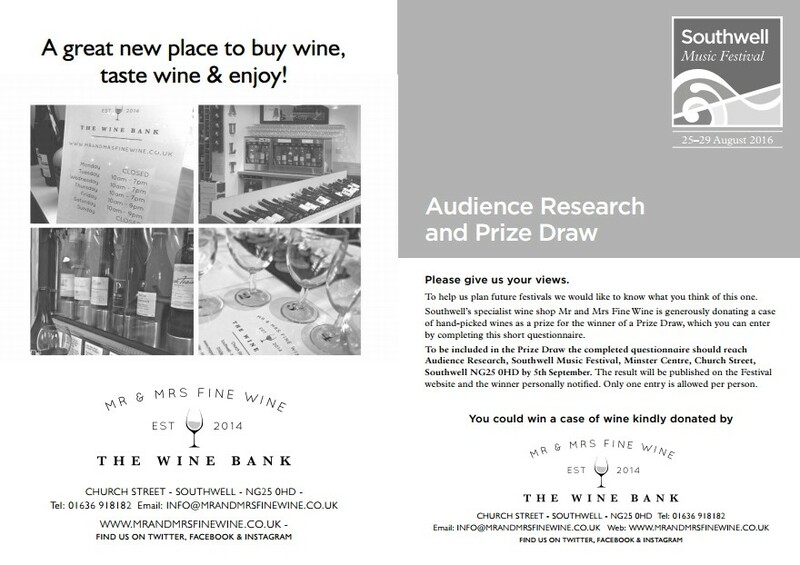 Once again we are indebted to Mr and Mrs Fine Wine for donating a case of wine by way of encouragement. 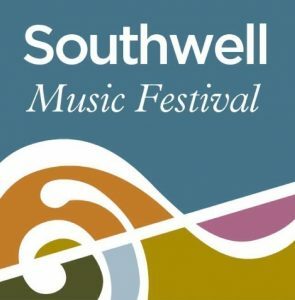 Festival pianist Libby Burgess provides a free introduction to The Dream of Gerontius at Southwell Library on Saturday afternoon at 4.00pm. The perfect upbeat to that evening’s performance. Visit the Cathedral Shop throughout the Festival to enter our Prize Draw. 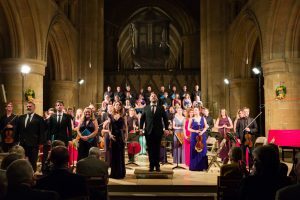 The prize, worth £750, comprises two stalls seats at the Royal Opera and a night for two at a five star central London hotel. Tickets cost only £10 and multiple entries are permitted. You can also enter online until Wednesday 23rd August. 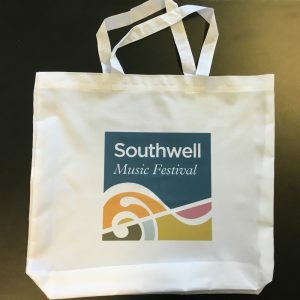 Two high quality branded Festival souvenirs – an elegant china mug (£7.50) and a beautifully-designed tote bag (£5.00) – will be available from the merchandising stall at most performances. The application form to join the 2017 Festival Friends will be available from the Friends desk in the Crossing. Prices are unchanged and from this year you can pay by standing order.